This post is part two of a series about how to maximize value when transferring your Chase Ultimate Rewards to loyalty program partners. BONUS: How Long Does it Take Ultimate Rewards to Transfer? Singapore Airlines has two award charts when redeeming its KrisFlyer miles. There is one award chart to fly Singapore and its subsidiary SilkAir and one award chart to fly Star Alliance partners. This is a post about sweetspots on the Singapore/SilkAir chart. A second post will follow about sweetspots on the Star Alliance chart. Singapore awards include fuel surcharges when an identical cash ticket would have fuel surcharges, and I believe that all Singapore flights have fuel surcharges. Almost all my choices will focus on flying Singapore Suites Class, since that is what’s special about using Singapore miles. Most of these deals are really just fair prices, not exactly sweetspots, but since they are the only way to fly such a fantastic product, I consider a “fair price” to be a sweetspot. The only Singapore Suites experience from the United States allows you to fly to Singapore with an intermediate stop. The flight to Frankfurt is just 7.5 hours (and a bit longer flying west), while flying all the way to Singapore would be 20 hours in the air. The price to Europe in Singapore Suites is undoubtedly a steal, though award space from JFK to Frankfurt in Suites Class is not great. The best time to find Suites Class award space is a little under a year out from when you want to travel–355 days from departure is when the space becomes available. But generally you’ll find more Suites Class award space on the routes that don’t touch the United States. The cheapest Suites Class route costs fewer than 32,000 miles, though unfortunately you’ll get less than four hours in the air. For an extra hour of flying time, head to Mumbai instead. Unfortunately the award is 10,000 miles and $120 more expensive, which is not a rate I would want to pay per hour of Suites Class. I think six hours, if you don’t plan on sleeping more than about 90 minutes, is the minimum amount of time to fully enjoy the Suites Class experience. 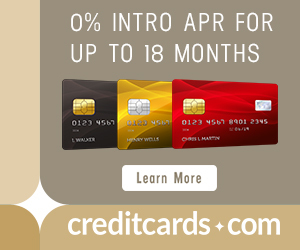 You can book such an award from Singapore to Beijing for less than the sign up bonus of one credit card, which is a pretty good deal. The Singapore award chart has some good options to fly Singapore Airlines A380s in Suites Class twice and enjoy the Private Room (lounge) in Singapore. Just make sure you get a longer layover than the 50 minutes on this itinerary. Almost 12 hours in the air for under 62,000 miles compares very favorably to the award prices from Singapore to Europe, which are over 90,000 miles for the same amount of flying. Similarly you can get two segments and 11.5 hours of flying by booking Hong Kong to Sydney. This is the only screen shot that shows “Waitlist” at the Saver level instead of “Available.” Here’s How Waitlisting Singapore Awards Works. Singapore Suites is a world-class fully enclosed suite. The suites are laid out 1-2-1, and the middle two suites can have their divider removed to turn two suites into one double bed. The food, alcohol, and service are legendary. Singapore miles are excellent for booking flights on Singapore Airlines. They are the only way to book Singapore’s top of the line product, Suites Class. Singapore has fair value awards from the United States to Europe and Asia in Suites Class, and Singapore offers some attractive intra-Asia redemptions in Suites Class, starting at 31,875 miles. I’m looking at booking Singapore from Houston to Manchester, England non-stop on Singapore Business class in the Airbus A350 in September. When I go through the booking process, it shows as Waitlisted at the end. Does anyone have clarification on what that means? Does it mean I might not get the flight at all? I need to make it to Scotland during that time and would like to know how far in advance I would be confirmed or denied so I could make alternate plans. Waitlisted means a big fat maybe. The good news is that your can waitlist flights on multiple days with only enough miles for a single flight. The bad news, of course is that you have no guarantee whatsoever that the space will become available. A Plan B might be in order. If Plan B can be cancelled for free or cheap, then you hope Singapore frees up space. If a waitlist clears, my understanding is that you are not required to take it. Is the JFK-Frankfurt 57,375 mile option only available TO Europe? I’m trying to book a FRA-JFK one-way in September, and the Singapore site shows 130,000 miles required. Please advise. Thanks! No, it’s available in both directions. It can be hard finding the lowest level Suite Class space (57,375 after the 15% online booking discount) on the JFK <> FRA route… best time is 11 months out. I forgot to mention that the 130,000 miles is in the “Standard” column and can only be waitlisted. 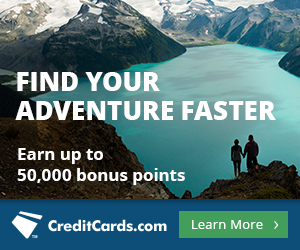 Does waitlisting require more points to book? Standard is much more expensive, so very few people are willing to go for it, kinda like a business class ticket to Europe on Delta for 200,000 miles one way. As for waitlist, see the above. There is the IAH-MAN flight as another option to Europe. 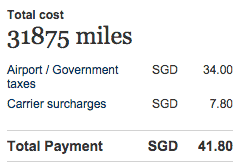 I just booked LAX-USM on Singapore in business class for 68k + $309. Singapore Miles Expire 3 years after they are in your account, so you need to have an immediate use for them, there is no way to extend them! Sarah, I’m going on memory here, but can’t you pay $100 to add a stopover on a one way award ticket? Thanks. That’s correct, you can add up to three stopovers for $100 each on a one way or a roundtrip. Left that out of the award rules section but have added it in, thanks!